There is a need of conceptual framework so that principles that are relating to it could be established as a body of concepts. Both IASB and FASB have a conceptual framework and they are entering into a joint project to develop a common conceptual framework. This common conceptual framework is necessary as this will help in issuing useful and consistent standard which will bring a uniformity in setting the standards for financial accounting and reporting. This common standard will fulfill the need of a sound developed a conceptual framework which will be consistent and will bring an end to conflicts arising because of different standards. If IASB and FASB shares a common conceptual framework then this will provide a new way to solve new and emerging problems relating to financial accounting and reporting quickly through referring to the common framework. In the words of Hoffman, (2016), this common conceptual framework of IASB and FASB will help in increasing the financial statement users. This will also help in increasing the understanding and confidence in financial accounting and reporting. This common conceptual framework will also help in enhancing the capability of comparing financial statements among companies. This framework will provide common guidelines to all the users so that they can easily focus on accepting the available treatment for any accounting query. This will help in saving the time, avoiding any conflict and same standards for all accounting procedures. Abovementioned points prove that there is a need for a common conceptual framework for IASB and FASB for enhancing the quality of standards provided for financial accounting and reporting (Hoffman, 2016). According to Lin (2015), the Conceptual framework is equally useful for all those parties who are using it such as accountants, auditors, users of financial statements, etc. As it can be seen that conceptual framework is a system of objectives which are interrelated to each other and those fundamentals which are able to provide uniform standards for financial accounting and reporting. Several parties are benefitted from a conceptual framework such as accountants use this framework for following the necessary guidelines that are relating to the preparation of financial accounts. 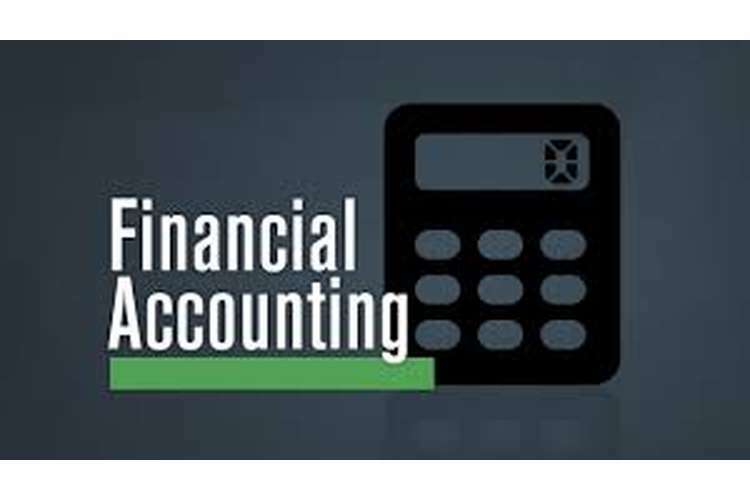 This will help accountants in preparation of financial accounts as per the standards which are provided preparation of financial accounts. Auditors use the guidelines of a conceptual framework for proper checking of accounts so that he can ensure that accounts are being prepared as per complying with the relevant standards. Users of financial statements such as investors, government, staff etc. also uses this conceptual framework. Financial analysts also use the standards and guidelines of a conceptual framework for applying those standards in their operations of finance. There all the parties whether the users, applicants or any other party which is related to the use of conceptual framework are equally benefitted from the standards and guidelines which are provided by the conceptual framework. Hence from the above discussion, it can be concluded that it can be proved that conceptual framework is useful for several parties. It cannot be said that it is more important for some parties than others (Lin, 2015). Cross cutting issues refer to those areas where there is a conflict between various standards. These are the issues which are arising on such problems where the effect of these issues cannot be ignored as this can affect the accounting of operations in the particular field. According to Paul and Burks (2010), there are certain examples of cross cutting issues such as conceptual framework is fragmentary and internally consistent, accrual and prudence of the going concern etc. There are some other examples of cross cutting issues which can arise in the joint project of setting standards by IASB and FASB as per the case study. For example, there are different standards as specified by IASB and FASB such as both these boards are having their own standards for financial accounting and reporting. This may lead to a contradiction of standards while development of a common conceptual framework for both the boards. This cross cutting issue may arise relating to the difficulties that are to be faced because of contradiction in the standards of both IASB and FASB. Another cross cutting issue which may arise while developing common conceptual framework is that members of both the boards may not agree with the opinion of other. As this is based on their personal perception and personal opinion. This contradiction in the opinion of members of both the board may affect the progress of development of a common conceptual framework of IASB and FASB (Paul, and Burks, 2010). There are two concepts for consideration of value in accounting. The first method is historic cost accounting where the value on which the asset was purchased in the beginning is considered. In this method, the fluctuations in the value of the asset during the lifetime are not considered. Hence the assets are recorded at the value when they were purchased for the first time. On the other hand, another method for valuation is fair value method where the assets are recorded on the basis of current market value. 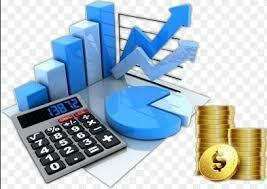 In this method rather than historical cost, theprevailing market price of the assets is considered in the accounting. In the opinion of Strouhal (2015), There are certain issues which are involved with the historic cost measurement principle under US GAAP that historic cost measurement does not consider the appreciation or impairment which can result to increase or decrease in the value of the asset. This method is not relevant in such a case where the company wants to sell its asset as at the time of selling of asset market value of the asset must be considered rather than its historic value. Financial accounts which are prepared on the basis of historic cost accounting does not depict the true and fair view of the financial position of the company. These financial statements influence the decisions of stakeholders which are based on financial statements which are prepared on the basis of historic cost method. Financial statements based on historic cost method fails to comply with the provisions of US GAAP. This also does not depict the actual value of the assets (Strouhal, 2015). The principle of measurement of accounting focuses on the recording of assets at the value where the financial statement provides a true and fair view of the financial statements of the company. As per the principles prescribed by US GAAP, accounts of the company must reflect the economic reality of the company means that they must provide a clear picture of the financial position of a company. The principle of measurement support fair value of accounting method rather than the historic value of accounting as fair value accounting method measures the actual value of the asset based on the price which is prevailing in the market. As per fair value accounting, appreciations and depreciations in the value of asset since the time when the assets are purchased are adjusted. According to Elfaki et al. (2015), the value of the asset is presented in the way regarding the price that is prevailing in the market. This measurement principle of fair value accounting provides a base to the preparation of financial accounts in an effective and efficient manner so that they could provide the true and fair view of the financial position of the company to its stakeholders and other users. This provides a consistency to accounting so that the financial accounts can also be compared with the financial accounts of another company of same industry. Hence from above discussion, it can be concluded that accounts of a company must reflect the economic reality is a core principle of measurement in accounting (Elfaki, et. al., 2015). Economic reality is a concept which is used for representing the actual reality of financial position of the company. Economic reality can be called as an indicator depicting the true and fair view of the financial position of the company. There is a method through which economic reality of a company can be measured which is Economic Value Added method. This method is a useful method of calculating the value of any entity which it adds to the economy. Through this method, theeconomic reality of any company can be presented. In the words of Šodan (2015), economic theories can also be applied to any company with the use of economic value added method. This method is a measure for calculating economic reality as this method is useful for every stakeholder and other such users of financial statements of the company. This method helps in calculating the value of assets through considering the market prices and through this it calculates the prevailing market prices of the assets of the company. Hence these assets are fairly valued and accounting done on the basis of fair valuation provides the actual position of the financial statements of the company. When profits are earned by any company then those profits are known as the economic profits of such company. These profits help in creating the value of the company as this also represents the contribution of such company in adding to the economy through its value. Economic value method helps the companies to present true and fair view of financial statements of their accounts and users of financial statements are provided with the actual information related to the financial accounts of the company (Šodan, 2015). Accounting reliability refers to the term regarding the authenticity of information that is presented in the financial accounts of the company. Abdullah et al, (2015), financial accounts of a company must be reliable enough that they must be verified and must be trust worthy. Accounts must be prepared in a way that they must be relied upon by the stakeholders or other users of the financial accounts. FASB has provisions that are relating to the reliability of financial accounts. As per FASB, there are three attributes which must be there in al type of reliable information. First one is verifiability that financial accounts of the company must be verified by the certified auditor as to ensure that the accounts are prepared through complying with the applicable relevant standards. Second is accounts must represent faithfulness which means that transactions related to any year must be recorded within that particular year. The third is neutrality that accounts must be prepared unbiased. Reliability of accounts presents the value of the company as higher the reliability of accounts and higher the value of the company. Reliability in accounts ensures that the accounting is done in a complete pure way through following all the accounting provisions and principles that are applicable to it. Reliability represents that the financial accounts are trust worthy and can be considered by stakeholders or other users of the company for their future use (Abdullah, et. al., 2015). FASB is responsible towards making provisions relating to accounting which emphasis on providing standards and guidelines that are required to implement financial accounting in relevant and reliable ways. FASB requires that companies must record a provision in their financial accounts in relation to environmental costs of retiring an asset. As per the words of Nor et al. (2016), this statement of FASB is reasonable as companies must create such reserves because they are helpful in protecting the companies from environmental liabilities. Companies must set aside a portion of their profits for retiring their assets on the basis of calculation of fair value of such asset in the respective year of retiring of the asset. If such estimation of fair value of retiring year could not be done then such fair value must be calculated for the reasonable year. There is a technique which can be used for this estimation which is discounted rate adjustment technique. This technique is helpful in calculating the present liability of such asset so that companies are able to set aside a particular portion of their profits in relation to the provision that is to be created for environmental liability. This provision is helpful in protecting the company from such future environmental liability. This will also help companies in fulfilling their obligations towards the environment as a good corporate citizen (Nor, et. al., 2016). As per the provisions of FASB it is necessary for the companies to recognize their environment liability and in relation to this companies must record their liability to protect themselves from future environmental liability., this can be done by companies through creating a provision on the basis of fair market value of such and then such provision can be used the time of retiring such asset. There are certain aspects which are used by US companies for recognition of their liability such as mothballing method. Through this method companies stop using their asset but they keep them in such condition that they can readily be used again whenever needed. With the use of this method, companies are able to preserve their asset for a longer time as well as this will result in postponement of liability. This method is used by US companies for recognition of their environmental liabilities as this method provides the liberty to companies for non-disclosure and non recognition of retired assets in the financial statements of the company. In the words of Malarvizhi and Matta (2016), Other than this fair valuation method is also used by US companies for recognition of their liabilities as companies adopt this method for fulfilling their environmental liability. As per this method, UK companies creates a provision for such environmental liability of the basis of calculation of fair value. If such fair value could not be calculated or estimated then provision for environmental liability is to be made in that year where the fair value of such asset can be calculated. Above explained are the method which is used by companies of UK for recognition of their environmental liabilities. It is necessary for the companies to recognize their liability as per the standards of FASB, to protect themselves from future environmental liability (Malarvizhi and Matta 2016). Recognition of liability refers to the recording of such liability in the financial accounts of the company. This recognition results as creating the liability for the company as this recognition results as creating a provision for future environmental liability. This future restoration activity will be estimated fairly in the year when such activities are actually implemented. In the words of Sauser (2015), the value of the asset which is estimated fairly must be added to the carrying value of the asset and amortized in the remaining years of time in current as well as future years. These costs for restoration of assets includes the cost of dismantling, cleaning any such other expenses which are to be incurred on the asset to present it in a good working condition. These activities may affect the cash flows and net profit for the current year and future year. Net profit of the company will be reduced in such current year when the capitalized value of the asset is amortized over the remaining life of the asset. This will also affect the net profits of the future year till the extent of amortization expenses for that particular year. This restoration activity will also affect the cash flows of the company as when this liability is to be recognized in such future year, this will result in an outflow and will reduce the cash of company. Capitalization of asset and recording of this liability as an allowance will not affect the cash flows of the company. Even the amortization expenses which are to be incurred every year will not result into affecting the cash flow of the company (Sauser, 2015). FASB initiated this disclosure of environmental liability regulation with a view to saving our environment from retired assets also this enhanced disclosure principles that it becomes necessary for the companies to disclose their environmental liabilities. Canadian Institute of Chartered Accountants also issued certain guidelines relating to disclosure of all the material information that is related to environmental liabilities. As per the guidelines issues by Canadian Institute of Chartered Accountants in 2002, it becomes necessary for the companies to disclose all the material risks relating to environmental liability in the annual report of the company every year. According to, these disclosure requirements are helpful in identification of contribution of such retired assets towards the environment. In the words of Tanc and Gokoglan (2015), these requirements are also helpful in the calculation of fair value of assets as these values are required to create a provision for setting aside company’s profit for future environmental liability. It is important for the companies to recognize their environmental liability as to contribute their efforts towards saving the environment to become a good corporate citizen. This recognition also helps the companies in protecting themselves from any liability which can occur in future relating to such retired assets. There are certainly other countries in this world who initiated these regulations for disclosure requirements. The main aim of these regulations was to provide guidelines for environment liabilities so that companies can fulfill their disclosure requirement properly (Tanc and Gokoglan, 2015). Abdullah, Z.I.B., Almsafir, M.K. and Al-Smadi, A.A.M., 2015, “Transparency and Reliability in Financial Statement: Do They Exist? Evidence from Malaysia”, Open Journal of Accounting, vol 4 issue 04, p.29-60. Hoffman, C.W., 2016, “Revising the Conceptual Framework of the International Standards: IASB Proposals Met with Support and Skepticism”, World Journal of Business and Management, vol 2, issue 1, pp 1-32. Lin, H., 2015, “Discussion about Conceptual Framework”, International Business Research, Vol. 8, No. 6, pp 191-195. Malarvizhi, P. and Matta, R., 2016, “Link between Corporate Environmental Disclosure and Firm Performance”–Perception or Reality?”, The British Accounting Review, vol 36, issue 1, pp.107-117. Nor, N.M., Bahari, N.A.S., Adnan, N.A., Kamal, S.M.Q.A.S. and Ali, I.M., 2016, “The Effects of Environmental Disclosure on Financial Performance in Malaysia”, Procedia Economics and Finance, vol 35, pp.117-126. Paul, A. and Burks, E., 2010, “Preparing for international financial reporting standards”, Journal of Finance and Accountancy, vol 4, p.1-8. Sauser, C.M., 2015, “A review of the accounting treatment for contingencies arising from environmental issues”, University of Tennessee at Chattanooga, pp 1-35. Shang, T., 2015, “The Latest Progress of the Conceptual Framework”, Modern Economy, vol 6, issue 6, pp.694-699. Šodan, S., 2015, “The Impact of Fair Value Accounting on Earnings Quality in Eastern European Countries”, Procedia Economics and Finance, vol 32, pp.1769-1786. Strouhal, J., 2015, “Historical Costs or Fair Value in Accounting: Impact on Selected Financial Ratios”, Journal of Economics, Business and Management, vol 3, issue 5, pp.560-564. Tanc, A. and Gokoglan, K., 2015, “The Impact of Environmental Accounting on Strategic Management Accounting: A Research on Manufacturing Companies”, International Journal of Economics and Financial Issues, vol 5, issue 2, pp 1-20.